Canvas measures 25.5" x 33.5" in size. 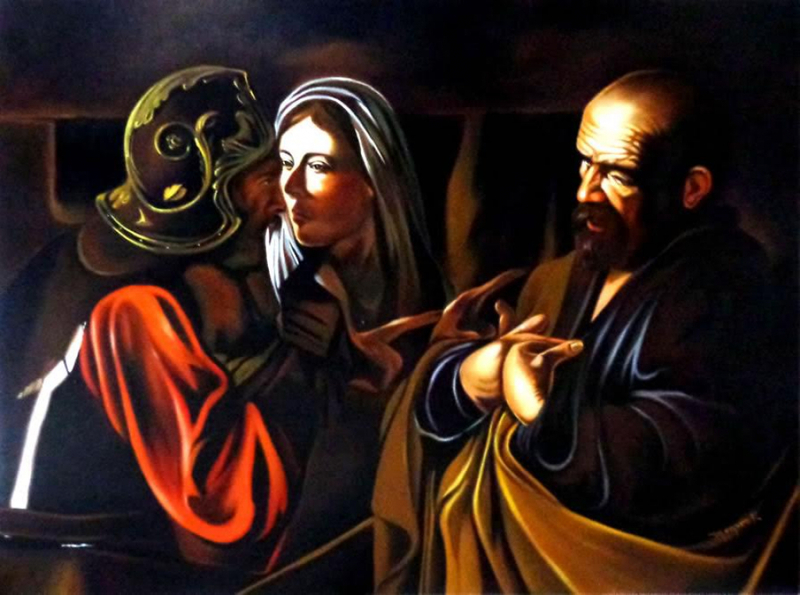 "The Denial of St.Peter" is an oil painting on canvas that has been hand signed in paint by the artist, Hector Monroy. 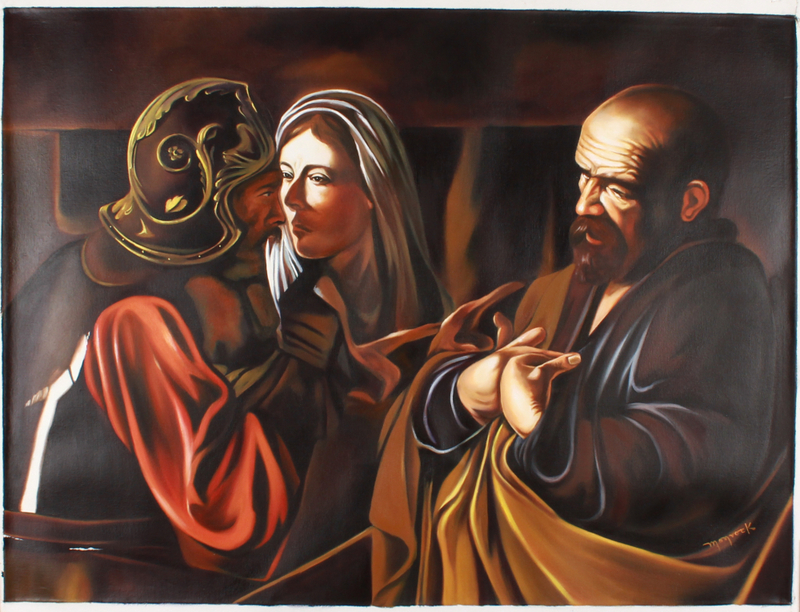 International Pop Artist, master of pop art with a realistic touch, born in Queretaro, Mexico. Studied advertising as well as artistic drawing, and later broadened he's scope in the audiovisual communications industry also working in graphic design. 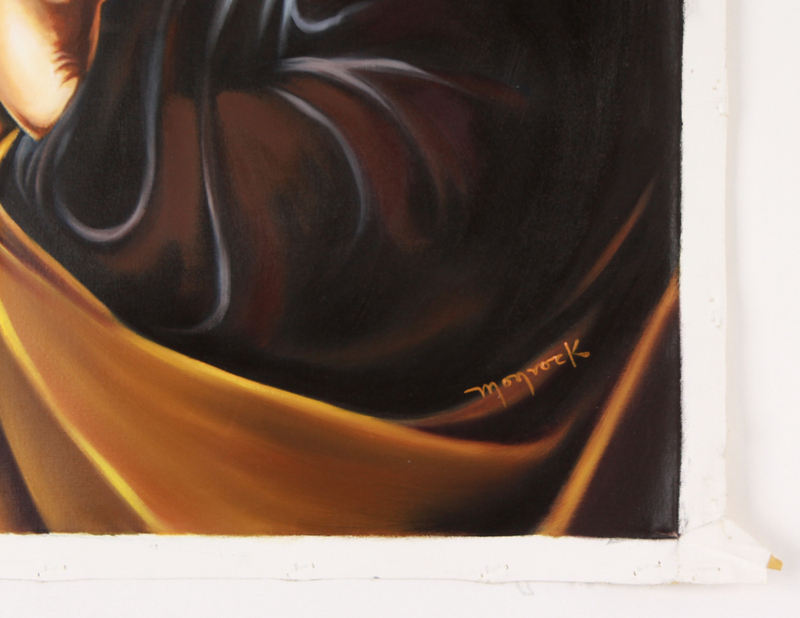 His inspiration is drawn from rock music and pop culture. His works often pay tribute to the most notable icons of music and film. 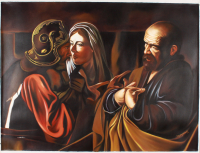 He is a painter of original portraits of icons, myths and legends of rock music and Hollywood movie stars. His style, defined as pop art with a realistic touch, is inspired by his idols like: Marilyn Monroe, The Beatles, Pink Floyd, Led Zeppelin, The Who, The Doors, James Dean, Elvis Presley, John Wayne, Bettie Page, and Muhammad Ali, among others. 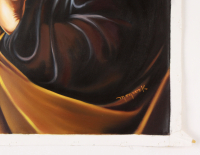 Many collectors in several countries around the world have been acquiring his pieces, many of them being shown in virtual galleries, right now Prizma Art Gallery Director.